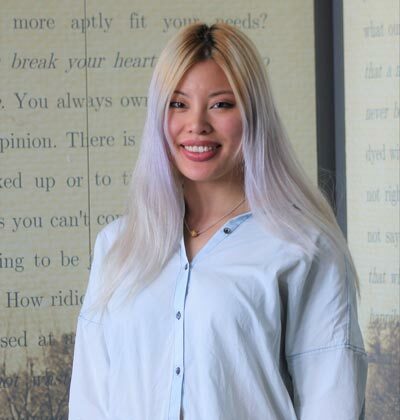 When Chinese student Monge Fu started looking for internship opportunities around Amsterdam this summer, she hardly dreamed of landing a job at the 5-star Waldorf Astoria Hotel in Amsterdam. Yet, this is exactly where Fu will start from 1 September, after impressing the Waldorf’s food and beverage supervisor during her interview. And it is not hard to imagine why she got the job – Fu exudes warmth, enthusiasm and friendliness. The Waldorf is spread over six magnificent mansions along the chic Herengracht canal - arguably the most impressive street in Amsterdam, and within walking distance of most of the city’s famous landmarks. "Once you've worked at the Waldorf, you can work anywhere." Fu’s internship is part of the Bachelor in Hospitality Management (BHM) programme that she has been following at Wittenborg University of Applied Sciences since September, 2015. Fu originates from the city of Nanchang in the southeastern part of China. She came to Holland because of “the culture, the friendly people and because most Dutch people speak English”. She chose to study at Wittenborg considering its flexible entry date system. “When I came to Holland in May, 2015, I wanted to give myself time to adapt and so traveled around Europe first, before starting in September.” She also considers doing an MSc in International Hospitality Management at Wittenborg, which is jointly offered by the University of Brighton in the UK.